Pet care has gained popularity in recent years as the number of pet owners has increased. Animal lovers and pet enthusiasts the world over are presented with a wide array of choices pertaining to pet care. Unfortunately, making the right decisions can often be very challenging. As a pet owner, you would be able to understand and appreciate the close bond that humans can share with animals. For most pet owners, pets are very much a part of the family and are entitled to the best care possible. A love for animals and the desire to care for pet is however not adequate, when you consider getting one. Choosing the right pet and breed is extremely important, as this can help avert problems for both you and your pet. Choosing a pet is not as simple as most of us assume and factors like temperament, maintenance costs, health concerns, dietary, and lifestyle requirements, among others should be considered as important pet health concerns. This site can help you make these vital decisions with an informed mind. Once you’ve chosen the ideal pet, your learning process actually takes off. Domesticated animals and pets of all kinds are just as affected as we are by the stress and health hazards of modern living. Pollution, stress, environmental factors, nutritional deficiencies, and unhealthy lifestyles can add up to create a variety of health conditions and illnesses. As care givers to our pets it is our responsibility to make informed decisions when deciding on routine pet health care and treatment options for them. Although animals can be extremely expressive there are limits to this inter species communication, and so it becomes imperative for us to learn to recognize and detect symptoms of any possible disorders promptly. Recent decades have seen a dramatic increase in the incidence of physical problems like arthritis, chronic fatigue, diabetes, cystitis, kidney and liver disease and thyroid dysfunction, in addition to which pets today are also more vulnerable to emotional and behavioral problems such as depression and anxiety. Many, if not all of these common pet health conditions can be prevented by creating a healthier lifestyle for your pets. Even if your pet does suffer from a preexisting condition, a thorough knowledge of pet care can make a big difference, as very often a combination of lifestyle modifications and natural remedies can help treat the condition. Access to information about the various pet health issues is therefore vital as it can help you identify the warning signs promptly, enabling swift treatment and recovery. The pet care choices that you make are no substitute or alternative to the care of a veterinarian, but are meant to enhance and improve the quality of care that you provide to your pet. Regular visits to a veterinarian are still a necessity. The information provided to you can help you protect your pet against a variety of conditions, with information on various vaccines that can help avert some common conditions. It is also important to be able to identify and recognize situations that warrant emergency medical attention, as there is a limit to the care that we can provide, and in these situations time is precious. The day to day decisions and choices that you make are often overlooked but are just as important as being able to identify health concerns. Choosing between commercially available products can be quite challenging because of the vast variety of products available. Making the right choices is of particular importance in health care for pet. Choices of convenience that we often make can also cost our pets dearly. It is therefore important to understand and examine natural options that are a lot safer. Replicating and providing your pet with an environment and lifestyle as close to that of it’s counterparts in nature is the best choice, so allow your pet's natural lifestyle to guide your decisions. 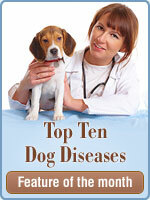 Read out more on dog health care and cat health care on our site.